Kamba Land or Ukambani is divided in to three administrative county regions namely, Machakos, Makueni and Kitui counties, stretching east of Nairobi along the Mombasa-Nairobi highway towards Tsavo National park and North East to Embu. It is widely perceived as a region regularly haunted by long drought seasons. Far from this notion, there are green and fertile stretches which make up for a wonderful destination outside Nairobi. Machakos for example, which was actually Kenya’s first inland capital, is surrounded by green hills. 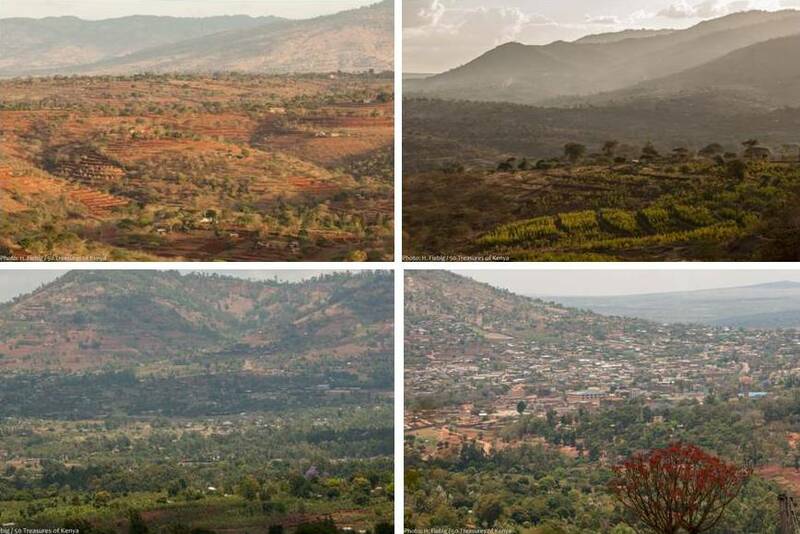 The Makongo Valley, right behind the town, also offers a spectacular drive through undulating hills covered by forests and terraces that remind you of Italy. This region is in many regards a land of vastness and impressive landscapes, such as the Yatta plateau, the longest lava stream in the world and the baobab country beyond Kibwezi. Further north, we have the Ol Doinyo Sabuk Mountain covered by rain forests, the spectacular 14 Falls as well as the Masinga dam which is the biggest reservoir in Kenya. 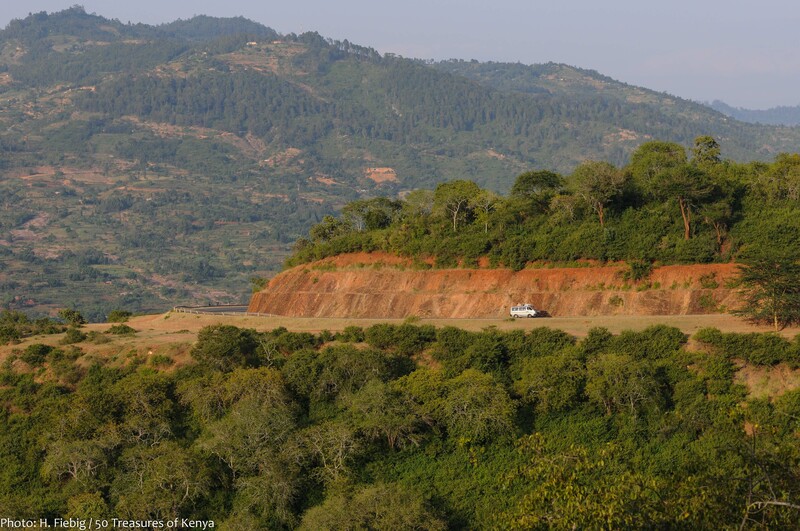 In any case, Ukambani is worth discovering, so come along! 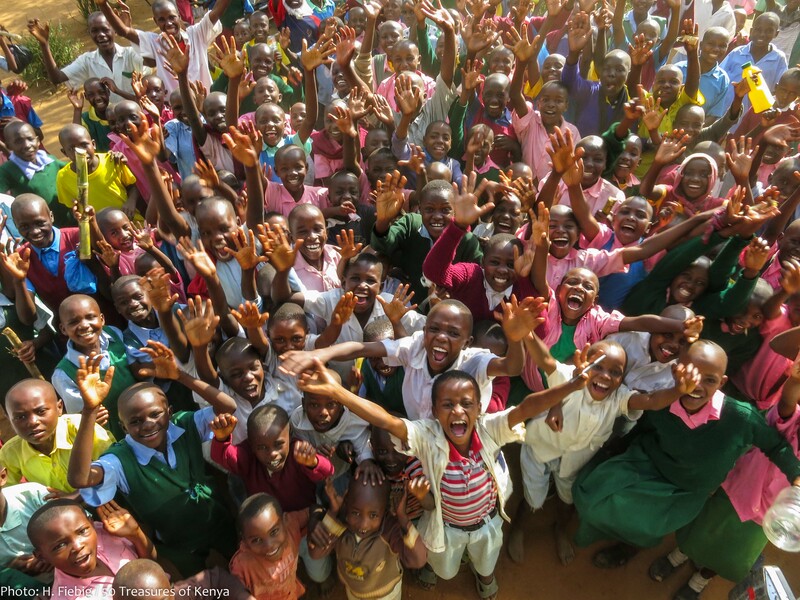 The inhabitants of this region are the Kamba people, also called the Akamba. They are Bantu speaking ethnic group who form 11% of Kenya’s population ranking them fifth among the largest of the 42 tribes in the nation. The Kamba are also know as the Kikamba, Kekamba, Masaku, Ukamba, Kitui and Mumoni. They were originally grouped into some 25 dispersed patrilineal clans or itui of varying size which were often mutually hostile though their social and territorial boundaries were flexible. Their system may have been a response to fluid geographical groupings rather than strictly determined by ancestry or tradition. This may have attributed to the few if any institutions of centralized political authority yet in times of external threat, military action could be coordinated across the whole tribe. The origin of the Akamba began in western Tanzania from where they migrated coming through the Usambara Mountains to Eastern Kenya. Some were forced to migrate south to Kibwezi and further near the coast due to the 18th Century drought which ravaged their homeland. The Kamba people thrived as hunter gatherers and long distance traders before the coming of the Europeans in East Africa. The settlement along the coast and the trading ties with the inland tribes made the community very valuable as guides to the first European Settlers. From guides, many of them ended up serving in the British Military during the first and second World Wars. The Akambas mostly traveled by organizing caravans to transport their goods back and forth from the interior to the coast. This trade led to the development of Machakos as a main trading center as it started in the beginning of 1900. The British colonization however brought misfortune to the Akamba community with the coming of the railway. This followed the predictions of the famous Akamba prophetess Syokimau who fore-told that a long snake that would be sent by the white people to come and wipe out their religious myths and traditions. Ukambani now covers a predominantly semi-arid, eastward-facing slope, which becomes progressively lower and drier to the east. It is part of Kenya’s eastern foreland plateau, an eroded basement complex broken by residual hill masses and occasionally overlain by tertiary volcanic landmasses. The hills in the Machakos area can also be described as dropping down to a series of plains that are separated by steep slopes. This region forms a scenic gradient of decreasing altitude from 2,100 m to 440 m. Elevation controls the quantity of rainfall at the regional scale, whereas topography strongly influences rainfall distribution at the local scale. It is characterized by increasing temperatures and decreasing moisture ranging between 381-1,270 mm of rainfall annually from west to east. Rainfall, except in the hill regions, is low and unreliable. The precipitation pattern is bimodal, with long rains falling between March and May and short rains from October to December. 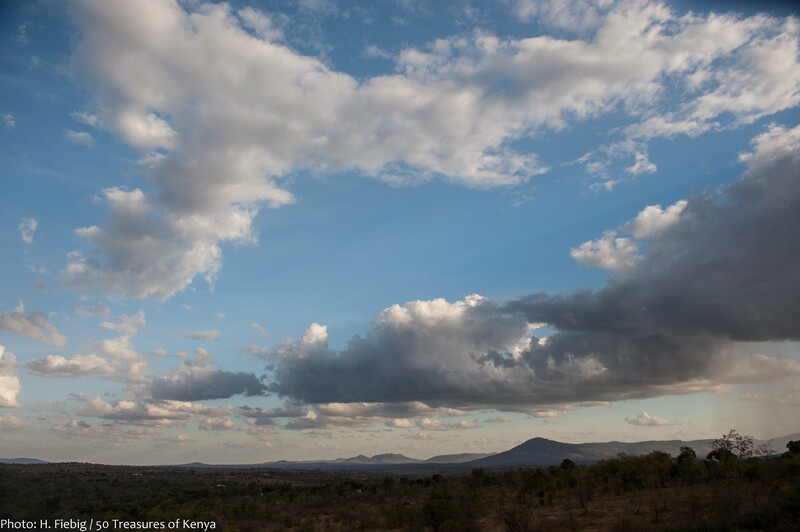 The soils of Machakos and Kitui reflect the largely metamorphic parent material and the rainfall regimes that contribute to their formation. These soils are all generally of low fertility, and many are highly erodible and are also susceptible to sealing. This increases runoff and makes the clay soils hard to plough by the end of the dry season. A rough estimate of the agricultural quality of the region’s soils indicates that less than 20 % of Kitui and Machakos has well-drained, deep, friable red and brown clays of good fertility. More than 60 % of the region has very erodible, relatively shallow, sticky, red, black, and brown clays of variable fertility on steep slopes while another 20 % has poorly drained, shallow, stony soils of low fertility . The dominant vegetation of this area is dry bush with scattered trees within the savanna in the higher areas. The hills were once forested but by the beginning of the colonial period most of the suitable agricultural land had been cleared. Thus leaving patches and corridors of forest along ranges, rivers, ravines, hilltops as well as dry forest in large expanses of grazing land. The main features at the higher altitudes above 1,700 m includes remnants of lush forestry, a bracken, mist forest and evergreen thicket clumps in grassland. Elevations at 1,200-1,700 m are dominated by Combretum species, with particular plant associations correlated with topography and moisture. 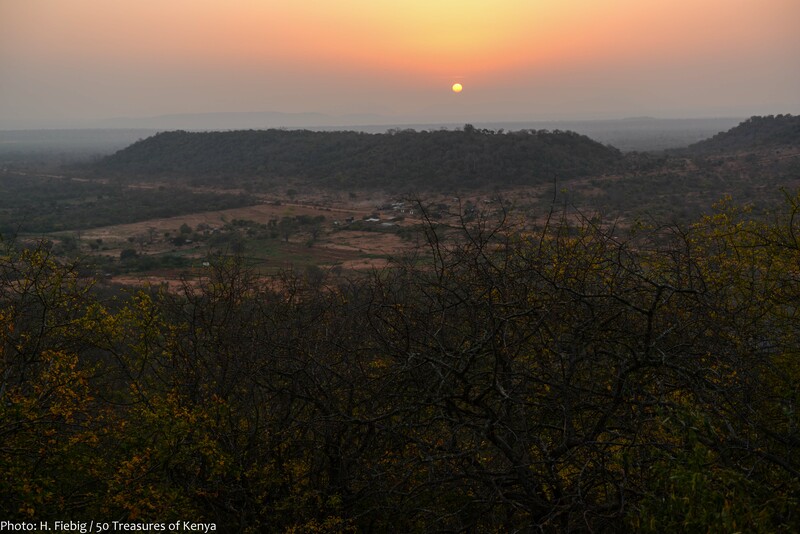 The most widespread vegetation type in Ukambani, and especially in Kitui, is semi-arid deciduous thicket and bushland, particularly Acacia/Commiphora associations in the 1,200 m elevation range. In the dry areas below 900 m, Commiphora/Sanseveria thorn bush grades into semi-desert vegetation. The forest zone is now largely under cultivation, with shrubby secondary growth dominating non-cultivated areas. The soils characteristic of the moist Combretum areas are fairly productive for agriculture, but the dry Combretum zones have sandy soils of limited fertility. The Acacia/Commiphora zone includes perennial grasses valued for grazing , but even in these areas forest and shrub-land are increasingly being converted to cropland. The Makongo valley which runs for over 40 km, on a good all weather road, is good sporting site that can be used for sport tourism. In addition, the road and the site are suitable for travelers to Mombasa who wish to avoid the chaotic Nairobi-Mombasa road. 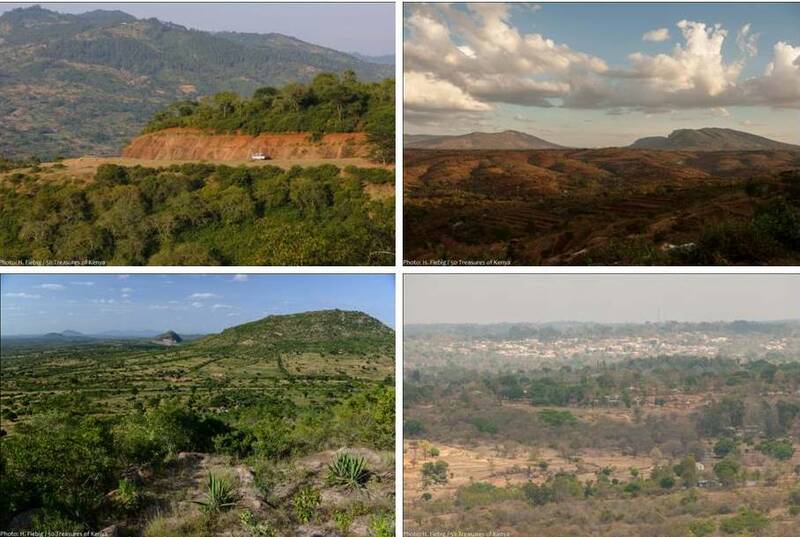 It is important to note that Makongo valley is located along the long winding Machakos-Makueni-Makindu road, a great attraction to adventure tourists who travel by motorbike who can enjoy the scenic green hilly environment and beautiful rock designs on the valley. 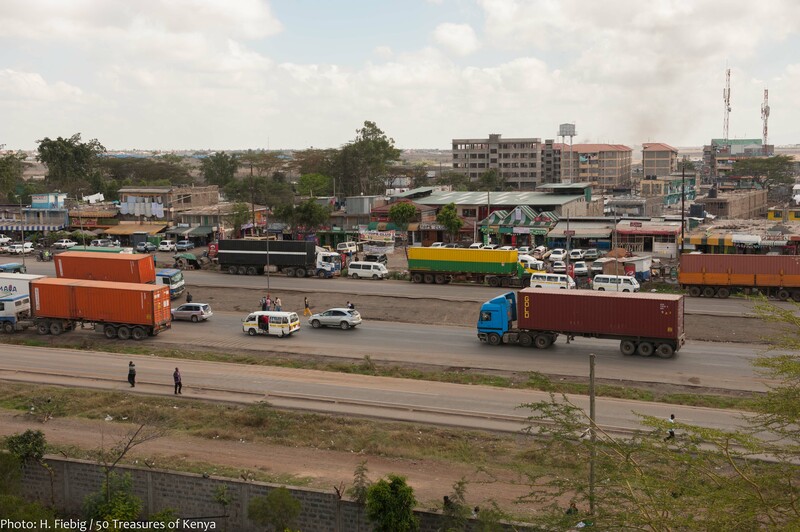 Motorits can divert at Machakos junction to Machakos town and further via Wote town to reconnect with the Mombasa road again at Makindu. This way they not only enjoy the good road, but appreciate the beauty of this marvelous countryside. The valley’s panoramic viewpoints has been systematically divided with a visionary touristic focus on the creation of a road and landscaped business premises. The local youth community is now working on the construction of environmentally friendly structures to sell essential traveler artifacts and take away food products. The local Akamba community was known to have very strong cultural beliefs and faith in their local traditions and myths. As long distant traders who travelled through the wildlife infested lands to the coast of Kenya to do barter trade with the Arabs. Legend has it that they possessed very strong magical charms that could send even the most dangerous wildlife scampering for safety out of their way. However due to the frequent wildlife invasions into the community land causing frustrations and destruction. The community has continued to view wildlife negatively hence loosing out from interest in tourism related development activities over the years. Interestingly, the region is the immediate neighbor to the North of Tsavo, Kenya’s largest and the second most highly visited of all wildlife national parks. Apart from the exception of the Ol Donyo Sabuk Park which was established in 1967, fewer are animals spotted in this area compared to other parks and national reserves. It is situated 65 km north of Nairobi and has an excellent and clear view of Nairobi and other lowland areas.One approach to the park is via the Fourteen Falls on the Athi River. The park’s main attraction is its beauty and views of both Mt. Kenya and Mt. Kilimanjaro. It also has a good view of the Fourteen Falls and Lord McMillan Castle. Wildlife species that can be spotted here include buffalo, Columbus monkey, baboons, bush-buck impala, duiker among abundant bird-life. There are good campsites at the entrance and in the park for group activities such as family excursions and team building activities. It is particularly attractive for hikers or families seeking some freedom and exercise outside their vehicles. 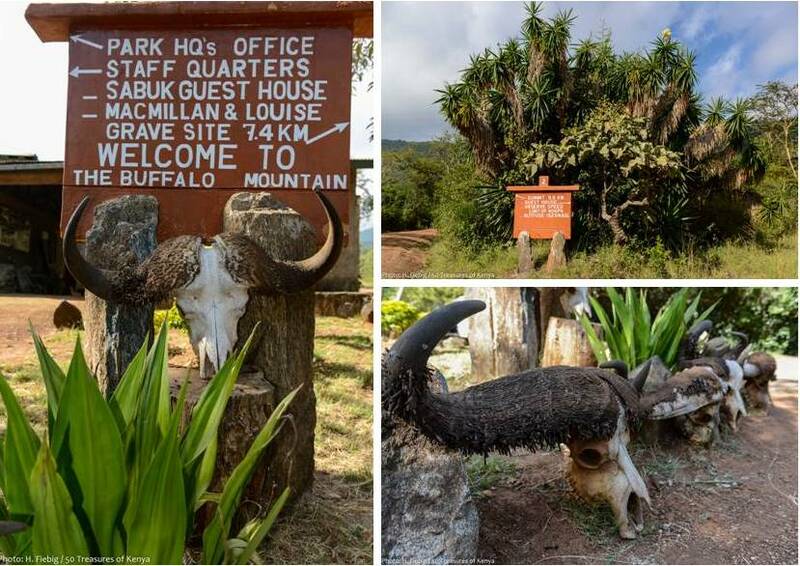 While the name “Ol Donyo Sabuk” is Maasai for ‘large mountain’, the word Sabuk was mistakenly thought by many writers to mean “buffalo” whereas in fact Maasai call buffalo Olosowan. Kikuyu traditionalists also call the mountain Kea-Njahe, known as the ‘Mountain of the Big Rain’, one of Ngai’s lesser homes. Today, over 200 buffalo roam the slopes. The solitary mountain rises to 2,145 m from an otherwise flat area with the highest peak in the park, covering an area of about 20.7 km2. Near the peak are the graves of great philanthropist Lord William Northrop Macmillan, his wife, their maid servant and their dog. Down past the mountain base sits Donyo Sabuk town, a town that has retained many things that Lord Macmillan bequeathed the area. Further east of Ol-Donyo is the museum that was once Lord Macmillan’s home. A fort by any definition, Lord Macmillian Castle is the building that Lord Macmillan and his wife spent their eccentric life together. It was in this house that Macmillan housed his friend and former American President Theodore Roosevelt when he was he writing his biography. They also played host to Mr. Roosevelt during his famous 1911 safari at their ranch. In fact, it was one of the many occasions that Roosevelt was spent time there. He had actually been there before he became president while on a series of hunting trips. Lord Macmillan was himself a decorated American soldier, and knighted by the king of England, who arrived in Kenya in 1901 for big game hunting. He and his wife also established the Macmillan Library which is situated in central Nairobi. 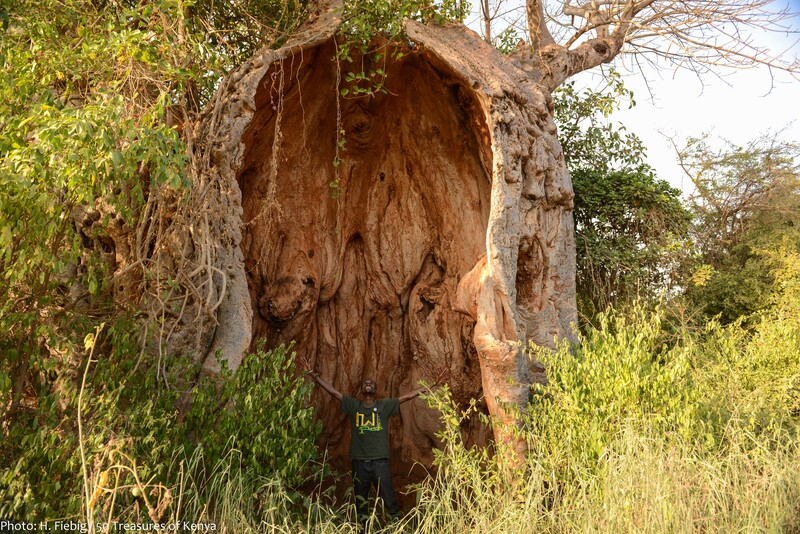 On your way to Ikutha, outside Kitui county, the magical baobab tree, also known as the ‘Tree of life’ can be spotted growing on the road side. This is a very important tree in the drier Ukambani region because during the traditional times, long distance travellers sheltered in such mega trees that grew in the wild. They would also sip the rainwater that collected in the clefts of the baobabs larger branches. Aside from many people claiming that the tree grows upside down, the tree is usually large enough that many still believe it can provide shelter and its branches are strong enough to be able to hold rainwater. 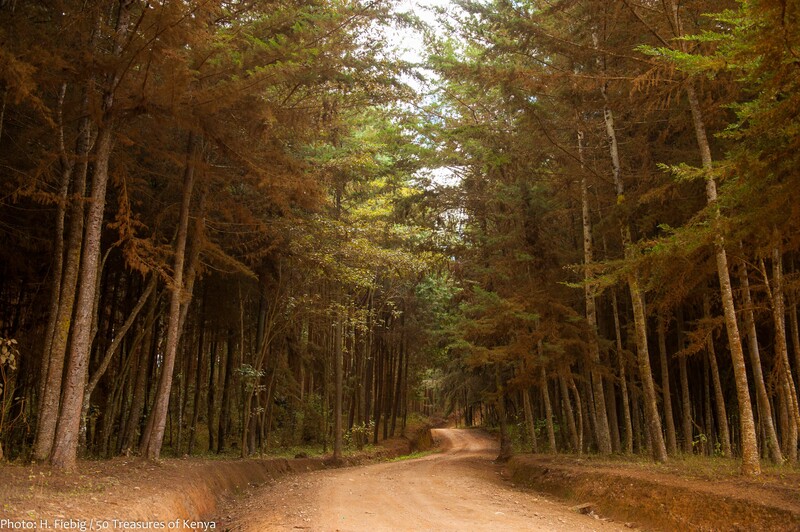 Scenic drives through Ukambani offers a good chance for adventure tourists to enjoy nature and vegetation. You will definitely find the many baobab trees quite spectacular if you are a nature enthusiast. Watch out however for the wild animals and cattle that come to feed on the fallen flowers. South Eastern Kenya is blessed with a variety of tourism attractions ranging from the rich cultural heritage diversity to historical missionary destinations to breathtaking landscapes and sceneries. It is also a superb high altitude sporting destination that is home to some of Kenya’s gold winning international sportsmen. It’s however unfortunate that this region falls under the hitherto lesser known tourism regions in the country because its potential in rich tourism activities and mining exploration has not been explored extensively. 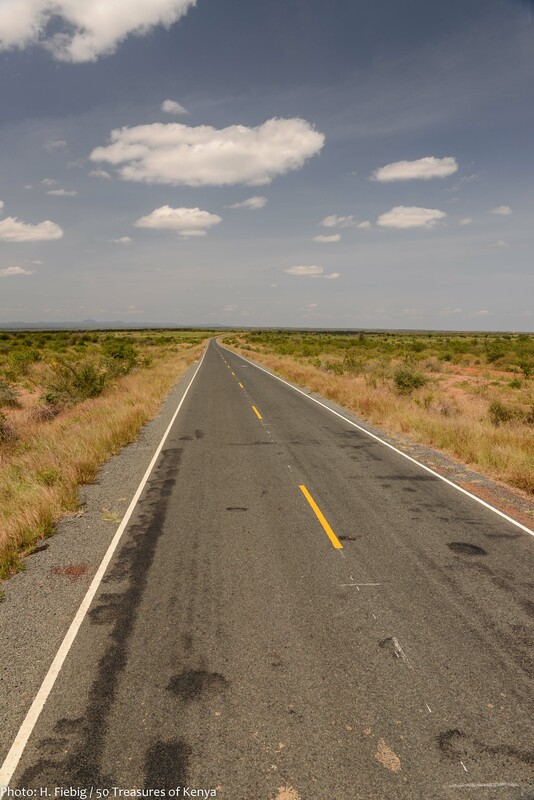 Starting just 60 km south of Nairobi, Machakos County stretches down along the Mombasa-Nairobi highway and borders Kajiado to the West, Makueni to the south and Kitui County to the East. The intriguing history of Machakos town dates back to early 1890’s when it was established as the Akamba trading administration center. This was in the back in the days of their early engagements with the Arabs in the pre-colonial era. During the construction of the Uganda railway, Machakos town was identified as the Capital City of Kenya in 1889 but due to conflict of interest between the local traders, the White Settler government and the Uganda railway construction officials. The capital was later moved from Machakos to Nairobi in 1905. The town, which is now the Machakos county headquarters, is situated at the base of five hills, two of which form very high altitudes making them ideal destinations for sportsmen and women. Iveti Hills the Women’ Hill and Kiima Kimwe, a free standing hill with peaks that create beautiful vantage points for scenery lovers. 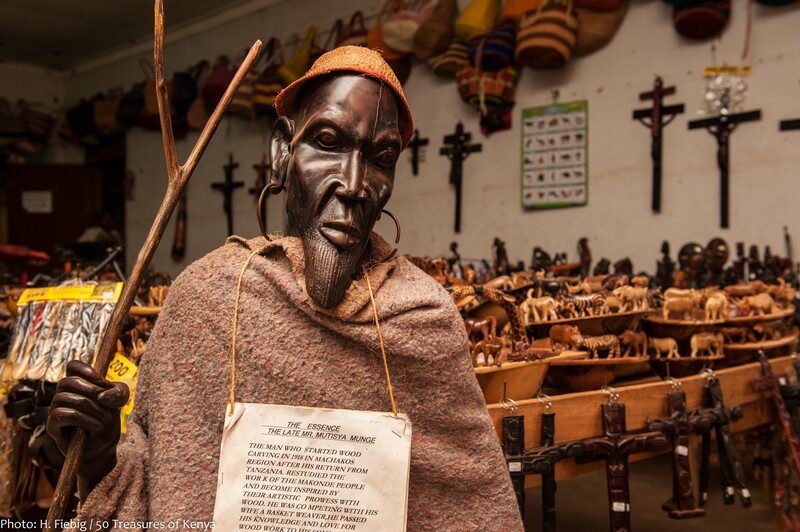 The county is in addition the origin of the famous Akamba woodcarving and the basketry skills. Seeking to tap a collective market from the woodcarving, a group of industrious women just 15 km from this woodcarving center started a ‘basket weaving’ society. The group currently commands a membership of over 2000 women who are involved in commercial basket weaving. The beautiful handcrafts and well decorated artifacts found in posh art galleries and gift shops both locally and abroad are products from this area. 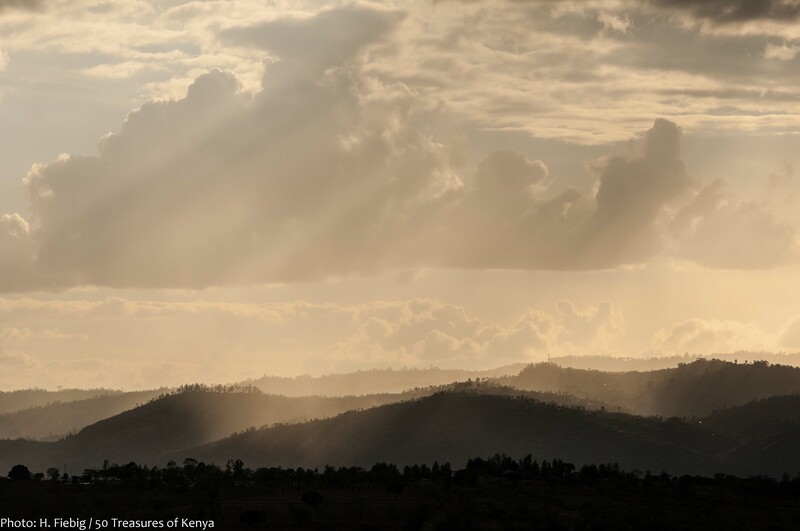 The Kyamwilu magic corner just 10 kilometers along the Machakos –Mutituni road is a mysterious natural attraction where nature has defied science. Experience the fascination of pouring water at the base of the steep hill and watch the water flow upwards towards the hill instead of downwards defying the laws of classical physics. The locals at the time were obliged to call this place, ‘The Magic Corner’ and many people from different places especially from the Asian community visit this place regularly. It is a suitable destination to visit especially in the afternoons after arriving at Machakos for lunch. Another attraction in the area is this popular shrine,located eastwards towards Kangundo road. This rocky outcrop over the past few decades has become a special place of prayers and retreats. 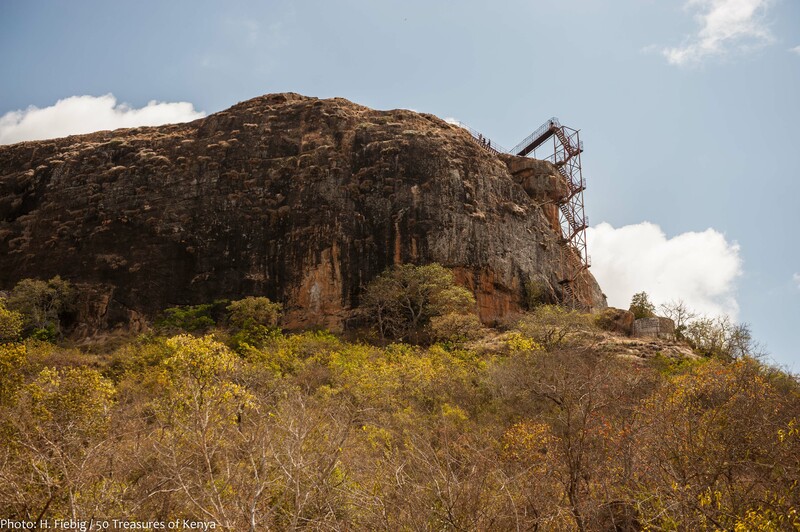 From ancient times, Koma rock was always referred to as a sacred place Ithembo. Elders would journey there, climbing to the western side of the rock to offer their sacrifices while praying to their gods and ancestors for protection from natural calamities or attacks from other communities. Elders often say their petitions are granted thus fostering the belief among the people that an unknown power resided on the hill. 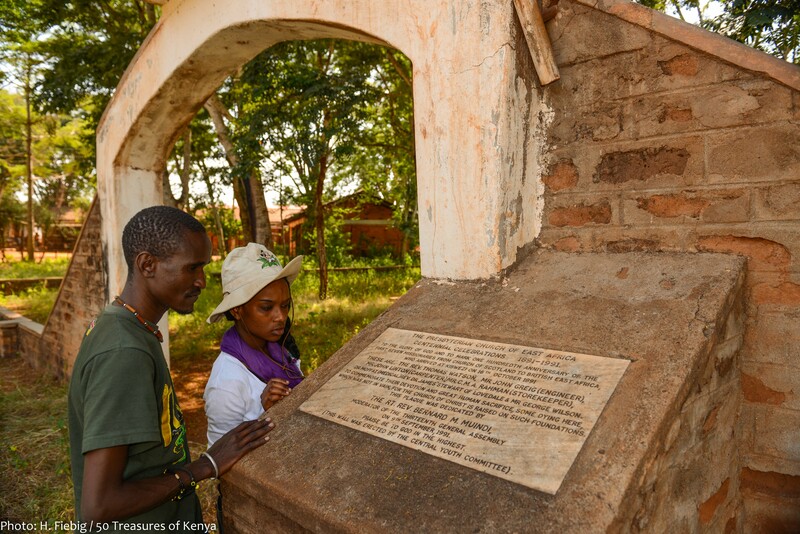 As a historical destination it is now known as the origin of AIC church in Kenya. In 1895, Mr. Peter Cameron Scott, a Scottish missionary sent from America passed here and ventured further interior to Nzaui where he set up the first Africa inland Mission in Kalamba. After hardly seven months, he had established three other missions in Ukambani at Sakai, Kilungu and Kangundo. He died in Nzaui- Kalamba on 4th December in 1896. after having established the first mission that gave birth to the world renowned Africa Inland Church in Ukambani. This important milestone of great human sacrifice thus justifies the site’s claim as the home of the first AIC church in Kenya. A very committed Christian, Peter Scott managed to build the first house that measured 30ft by 14ft that was completed on 23rd December,1895 which the five missionaries occupied. Peter was generally weak but very strong in faith as he had been run over by a hand cart back home at the age of 3 making his general condition of health unpredictable for the better part of his life. Despite his poor health he had within 7 months managed to establish three other mission stations at Sakai, Kilungu and Kangundo including the main station at Kalamba through very challenging situations. 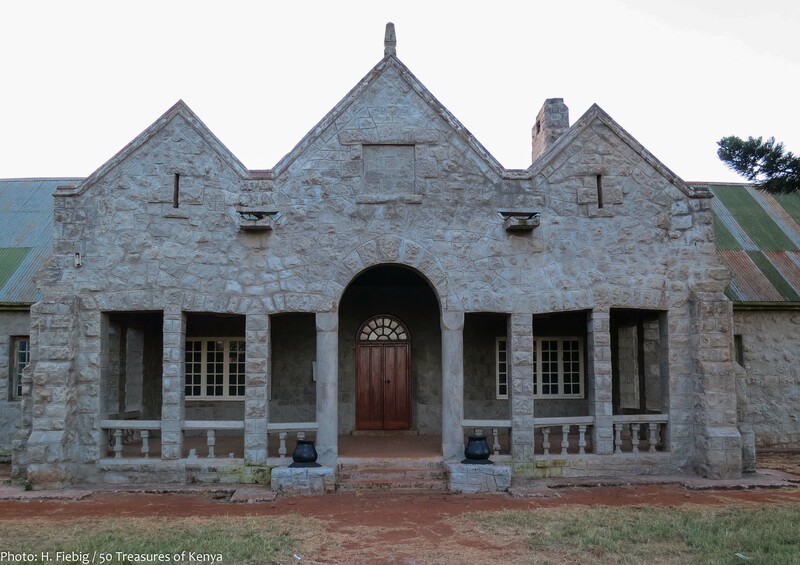 In recognition of Peter Scott’s efforts to spread the gospel in this region, the District Commissioner of Machakos offered him a government building in Kangundo to be converted in to a church mission at a fee of kshs. 10 per year. God’s presence was evident and Peter moved in immediately and started work in Kangundo. A portrait of Johanes Hoffman and that of his wife Emilie who lived here between (1886-1914) is preserved in the church with a written message in his own words. Yatta Plateau is one of the longest lava flows in the world. Stretching 350 km from Ol-Donyo Sabuk Hills in South Eastern Kenya region to the north Coastal region, this plateau is one of the star geographical attractions in Kenya. From this region along the Kibwezi –Kitui road, the Yatta Plateau is a haven for scenery loving enthusiasts and professional photographers. It offers the best view points and photo scenes than any other area in the region. The river that runs beneath the plateau has three distinct names. From its origin in Ngong Hills in Nairobi, the river is called Athi. When it enters Tsavo, it is called Galana and Sabaki as it pours its waters into the Indian Ocean from Malindi. 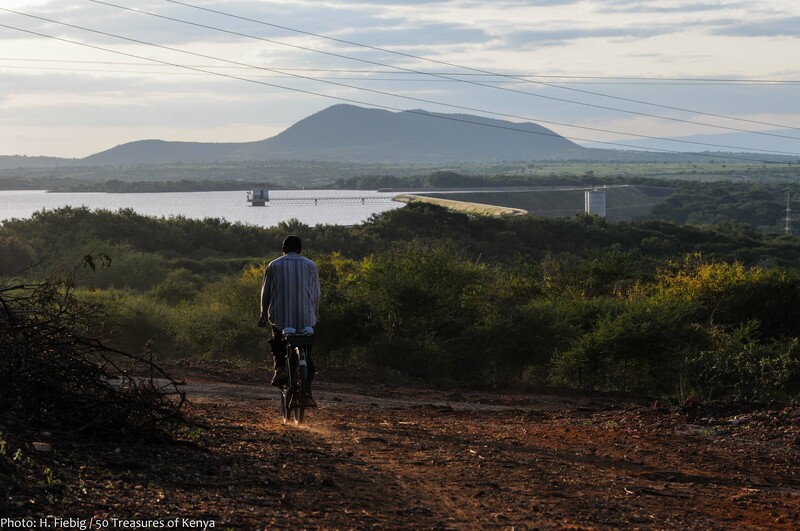 A natural U shaped depression or Mwanyani, just a few kilometers to the Athi River bridge, creates the best crossing into the Kitui from Kibwezi. You’ll get the best view point of the picturesque area and the parallel elevation of the plateau from a distance from here. The Masinga Dam on River Tana, is the largest man-made lake in East and Central Africa spanning 46 km. 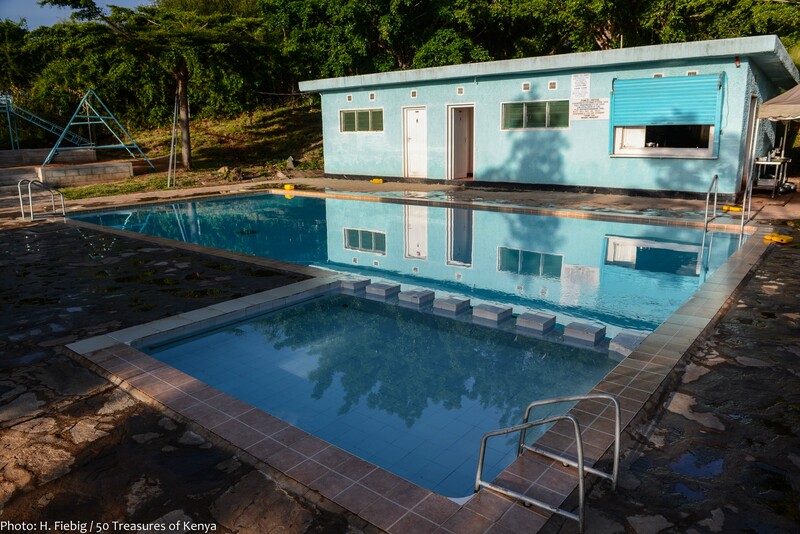 It was developed and commissioned by Tana and Athi River Development Authority (TARDA) in 1981 as a multipurpose reserviour for storing water for power generation by other dams downstream. The complete project was intended to serve three main areas of income generation that included irrigation, power generation and Eco tourism. In the midst of this dam, there is the Gichuki Island- a serene destination of isolation and privacy suitable for honeymooners. Private trips to the island can be arranged through the Masinga Dam Resort,a lake side Lodge-for interested guests. The dam has also been designated as the regional training center for water sports in Africa. In 2008, an international event in Canoe –Kayaking was held here and the Ministry of Tourism recommended the destination as a regional water sports destination. 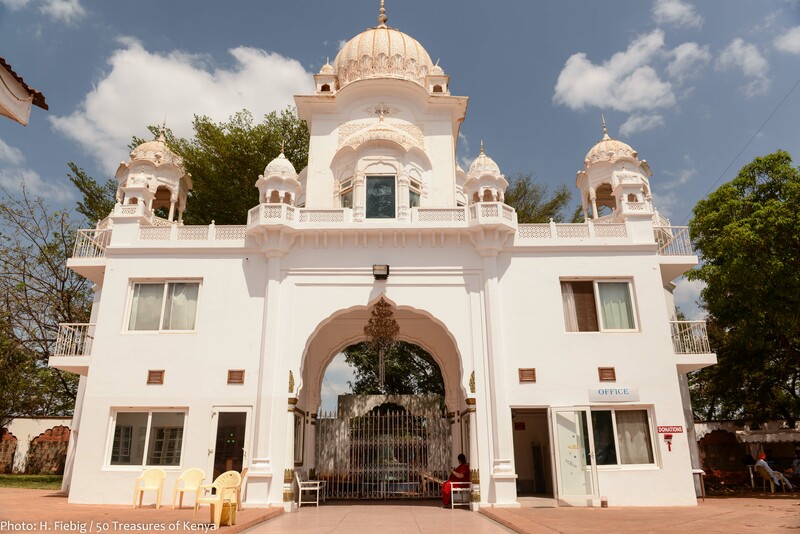 Set in the forest about, 170 km from Nairobi, off the main road, the Makindu Gurdwara is the only convenient rest stop for weary motorists on the busy and long road to and from Mombasa. The Gurdwara complex spans an estimated 5000 m2 which houses a huge dining facility with a common kitchen and around accommodation for travelers. It was built in 1926 by the Sikhs who were working on the construction of the Uganda railway line from the Mombasa inland to Lake Victoria and on-wards into Uganda. When the Uganda Railway was completed in 1902, Makindu played a prominent role as a service point on the train’s advance from Mombasa. Although the Sikh Temple Makindu was built in 1926, its roots are believed to have been present way before that time. In the years before then, it was a tin-roof little hut where the Guru Guru Granth Sahib was housed and the Sikhs prayed daily. Since dozens of artisans and train drivers were Sikhs, the station at Makindu became a place of religious devotion. The Sikhs, Hindus and Muslims would gather together to worship under a tree, the spot where the current Gurdwara now stands. The Sikh temple in Makindu is an important attraction for tourists on spiritual safaris. 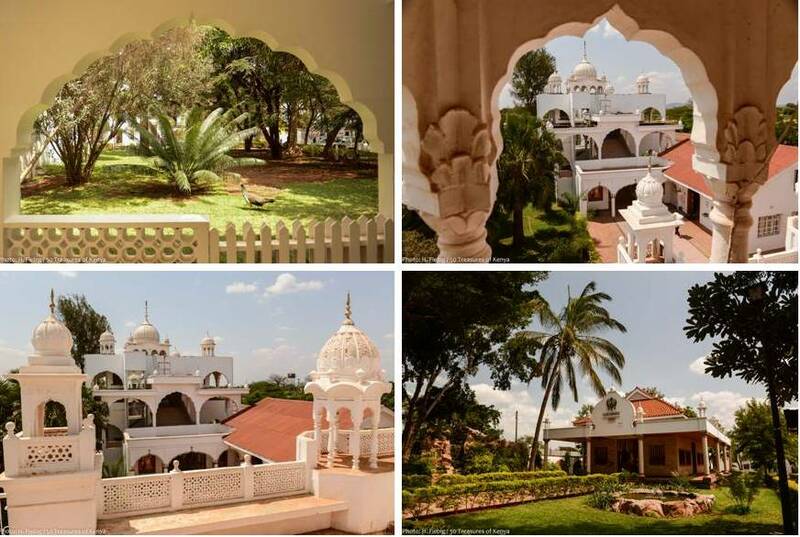 This holy shrine provides a peaceful atmosphere where one can meditate and repose.The place is very calm and inviting for visitors who would love to know the history of the Hindu religion in Kenya and its interaction with other religions. Rooms with beds – several ensuite – are available for visitors to stay for up to two nights. It is apparently managed by a consortium of the Nairobi Gurdwaras and visitors are not charged for the service so most people make donations to the Gurdwara instead. 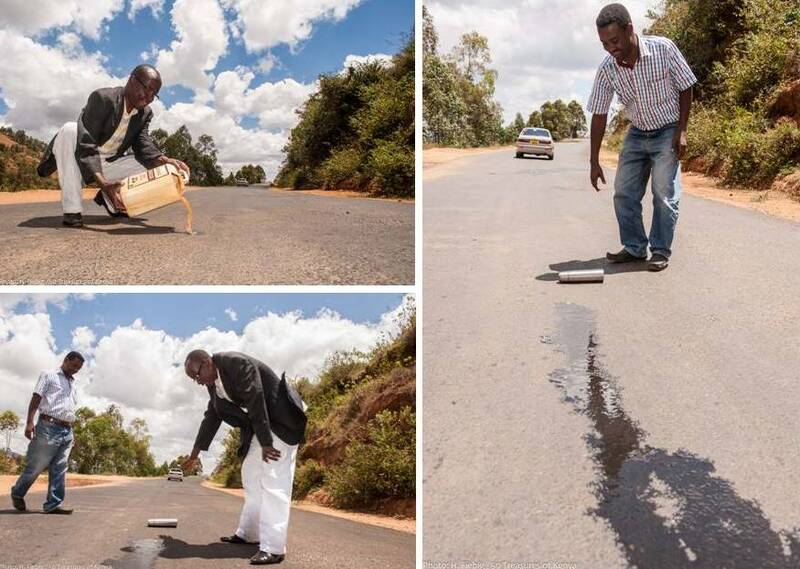 Makueni County is located in the southern part of Eastern province and borders Kitui to the east, Taita Taveta to the south, Kajiado to the west and Machakos to the north. The county covers an area of 8008.8 kms and comprises of eight districts namely Makueni, Mukaa, Mbooni East, Mbooni West, Kilungu, Nzaui, Kibwezi and Kathonzweni. It has five constituencies which are Kaiti, Kibwezi, Kilome, Makueni and Mbooni. 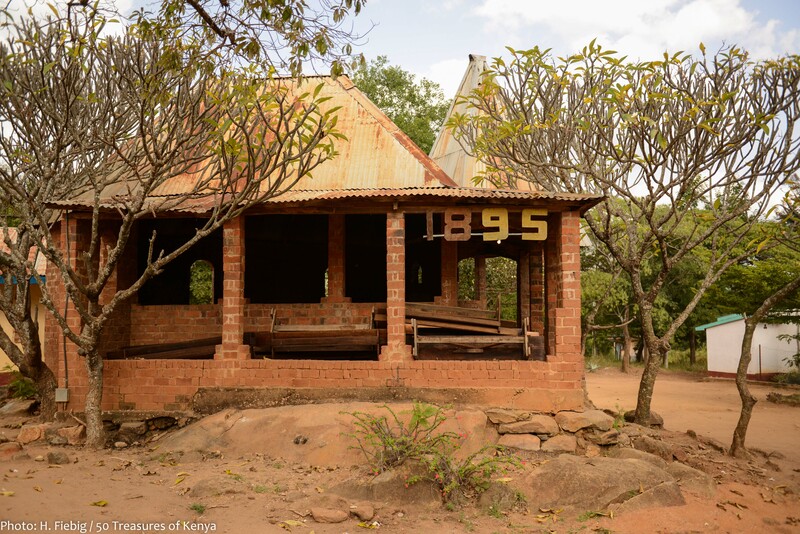 It was the first destination in the interior where the early slave traders and missionaries encountered inhabitants after a long trek in the expansive wildlife infested wilderness of the now Tsavo national park. The Akamba Community first arrived in early 1800 from Usambara Mountains in Tanzania through Chyullu hills and settled in Kibwezi area before spreading further into the interior. The first missionaries arrived in Kibwezi in 1891 and fell in love with the green town –plenty of crystal clear water from nearby springs. 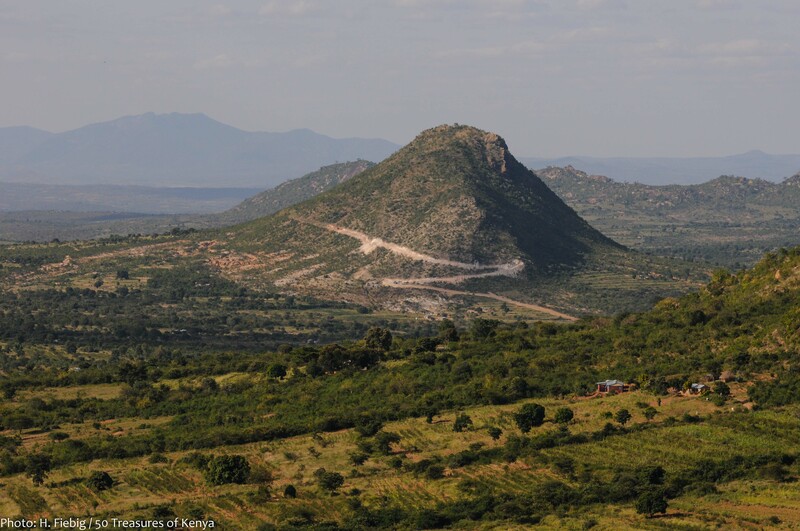 The Mbui Nzau Hills or White Goat Hills are situated just 5 km from the Kibwezi junction along the Mombasa-Nairobi highway. The hills are cusyomarily famous from the local folk tale of a white goat that used to appear on top of the hills very early in the morning just after sunrise before the arrival of the missionaries. It was actually the holy place where the local Akamba people used as their Ithembo or sacred shrine where they used to offer their sacrifices. Kibwezi has been known from ancient times to have been established by the Arab slave traders and being on the slave route, it was itself a slave collection point. The area has also seen several battles before the World War I and II and Mau Mau as it was an old battlefield where the Kamba and the Maasai fought fierce battles over livestock. The first Westerners later arrived in Kibwezi following the routes established by Arab slave raiders and ivory traders. Although their mission was to cross into the interior, they fell in love with Kibwezi and decided to stay on. Although Kibwezi has been defined by the Presbyterian Church of East Africa as a Nendeni area, a region for church growth.The locals however were once so set to their traditional beliefs that when the first mission school and church was established later in Ikutha by another German Missionary Mr. Johannes Hoffman. It took him half a decade from, 1886-1891 to form the first Christian congregation that composed of 4 men and only 1 woman convert! Kitui County is the largest of all the three counties in South Eastern region and borders Machakos to the North West and Makueni to the South West, Tharaka Nithi to the South East and Embu to the North East. 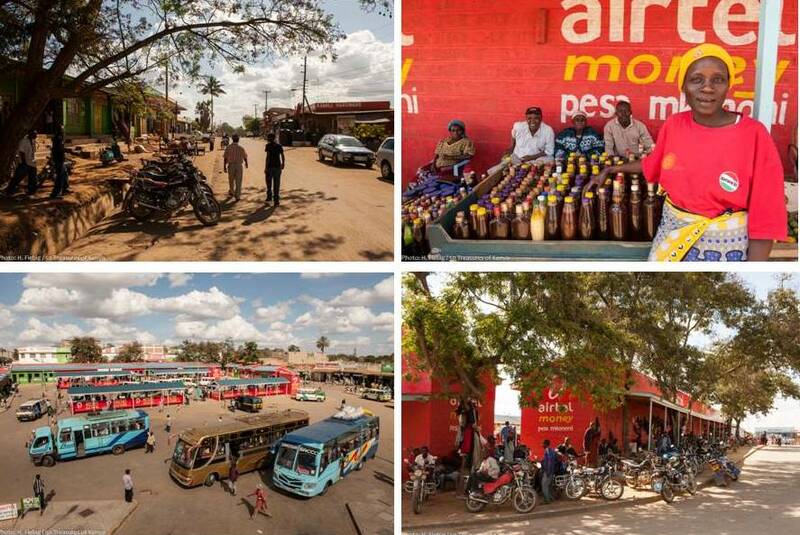 The town is a modern urban center and the main administration hub of the Kitui county government. This is a semi arid region with a heritage of natural resources as large deposits of coal and cement were discovered here recently. The county is rich in tourist attractions ranging from historical, cultural and wildlife destinations. Some tourist class hotels have been built here to accommodate various non-governmental organization officials who have camped in the region. They include several well known community based projects like the Action Aid, Plan International, World food Program among others. Being a semi arid zone, many organizations have moved in to supplement the Government’s efforts to supply water, fund educational projects and distribution of foodstuffs to the needy communities. Parkside Villa, Talents Hotel and the Kitui Cottages are some of the popular seminar and conference establishments in the town. Just 15 kilometers away from Kitui town is Nzambani Rock or Ivia Ya Nzambani. This is is a superb team building challenge and an adventure destination in addition to its uniqueness and mythology. This outstanding attraction rises more than 90 feet high with a top surface area that is close to an acre. The locals claim that it continues to grow even to date according to a legend that is narrated in two different versions. The nocturnal noises reported to emanate from the rock and eerier activities are some of the bizarre stories behind this rock. The most interesting version is that when you go round the rock seven times, your gender changes automatically as you complete the seventh round. It is especially interesting since it seems that it is mainly men who undergo this transformation. Visitors to this rock always leave with a memory that will linger stubbornly in their minds. That is whether to come back and take up the challenge, hence the justification of Kitui county as the home to the gender changing myth. It should also be noted that is currently on private property and the guide will require clearance from the owners of the property at a fee to gain access. After walking to the base of the rock, a permanent staircase gives you access to the top to enjoy panoramic views of this free standing rock and is it the perfect destination for sun downer lovers. During clear days you can be able to see both Kilimanjaro and Mount Kenya from a distance. Mlolongo Town, popularly known as Soko Muyo meaning a lovely town is actually the main gateway into South Eastern Kenya region. Located practically between Machakos and Nairobi city, just 18 kilometers away from the capital and a 10 minute drive to the international airport, this town is the most convenient meeting point for all the ‘South Easterners’ living in Nairobi. It is for this reason that all the famous and upcoming Akamba music artists have identified this town as their central entertainment hub in the entire region. Dotted with modern entertainment hotels complete with family entertainment no-alcohol facilities, live band performances in most clubs. Revelers and fun enthusiasts come here from as far as Thika and Machakos to wish the weekends away with their families and loved ones. 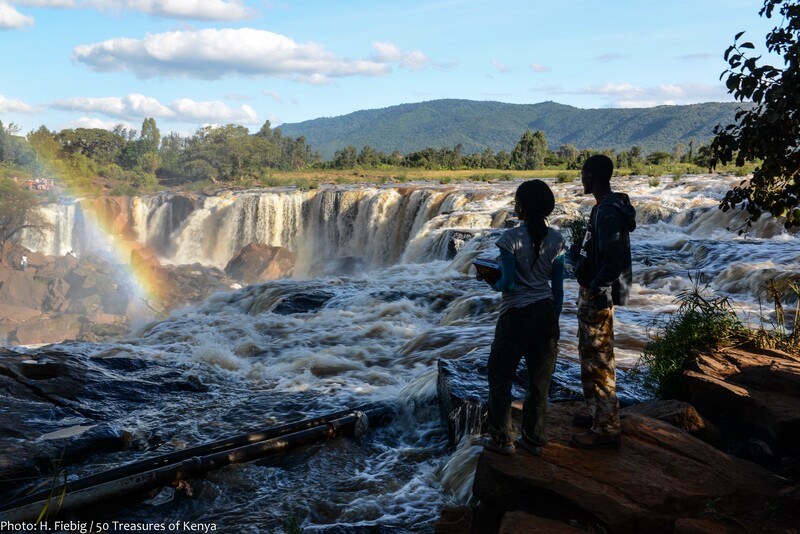 The other gateway to the Ukambani treasure is the fourteen falls with its scenic fourteen cataracts flowing 10 m down to the rocks beneath. Located just 45 km from Nairobi, along the Thika /Garrissa road, a little distance from Thika town. It is one of Kenya’s most rare water sports attraction sites as the daring divers display their unique expertise by diving down the 40 feet high falls. On your way to explore the larger Ukambani region, stop by and enjoy the falls on a day trip. It is a relaxing place where you can find a placid pool and a pod of resident hippos up-stream that add to the ambiance. A boating experience for only kshs.100 across the river is usually worth it as it will take you to a central island, covered with vegetation and slippery and slimy rocks that have been hit by the fast flowing water over a long time. 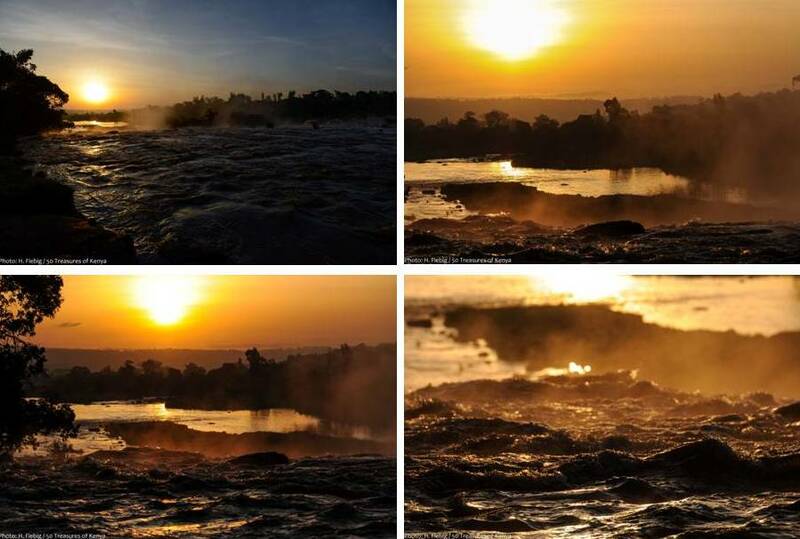 This is also a secure area that is completed with a picnic site where you can catch the best sights of the fourteen falls during the early morning sunrise or the late sunset as the falls flow into the Athi River. It also has historical and religious importance both to the residents and other communities. The Asians use the site as a shrine for disposing of cremated ash in the river believing that it will go all the way to India through the Indian Ocean. Others come for entertainment and recreation, retaining the Happy Valley theme that was first introduced by Lord Macmillan. Following his example, some of the descendants the adventurer brought here still farm the land in the adjacent community. Other activities at the falls include guided crossing of the river by experienced water sport guides who take you round to all the attractive scenes of the picturesque cascade of the fourteen successive falls. 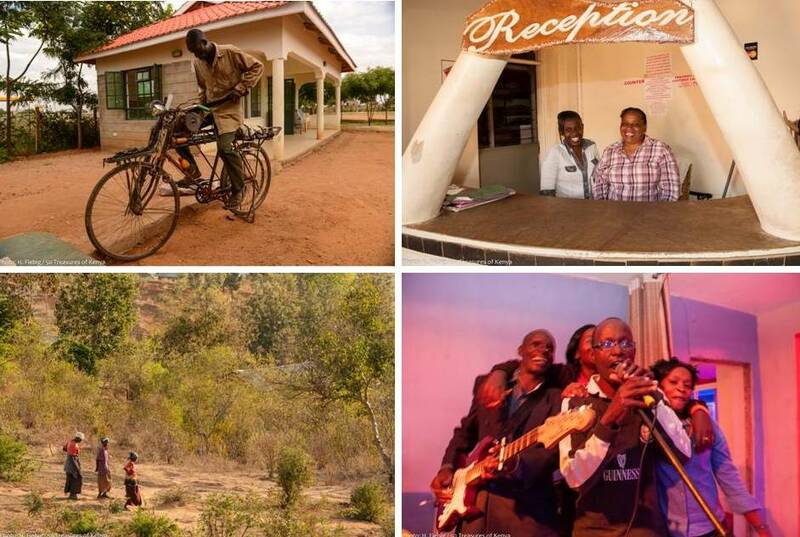 Machakos is a modern town that has joined others in the global map as a tourist destination with some of the best tourist class hotels like the Garden Hotel and Maanzoni Lodge being very popular venues for hosting regional conferences, forums and cultural events. The Machakos International Conference Centre is the ideal destination for Christians and non-alcoholic visitors as it is the property of a Christian ministry the Jesus Celebration Centre. Is located in Machakos County 60 km from Nairobi and features 67 stylish and well-appointed guest rooms featuring custom crafted furniture, granite and marble bathrooms with high speed internet and flat screen TVs with DSTV. They also provide 4 conference rooms accommodating up to 250 delegates, fully functional with air-conditioning, natural daylight with black-out facility plus sound proofed glass, wireless internet connection and a full complement of audio visual equipment. The Ivory bar offers an extensive cocktail menu both local and international, and Bustani restaurant offers a rich menu of international cuisine. 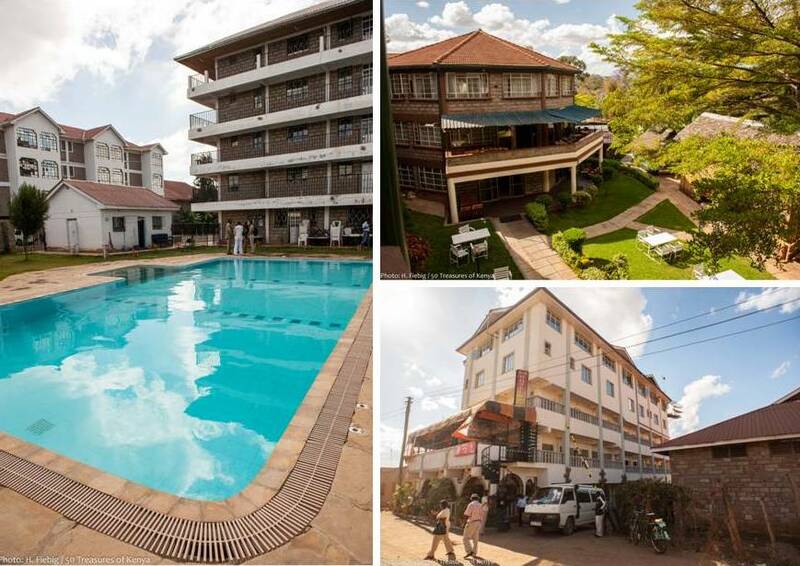 Garden Hotel also boasts a salon and health club and a swimming pool. Other beautiful Hotels offering different tastes from entertainment joints to quiet and serenity environment lovers: all have their interests taken care of in this town known for its ever reveling mood. Masinga Dam Resort is located, approximately 160 km from Nairobi, adjacent to the Masinga reservouir at the shores of Masinga Lake with a beautiful landscape and breath taking landscapes . They offer executive rooms, standard rooms, conference rooms, bar & restaurant, swimming pool for guests with an interest in knowing how electricity is generated. A tour to the nearby Masinga Power Station can also be arranged. It is also appropriate for vacations, camps, hikers and nature walks. 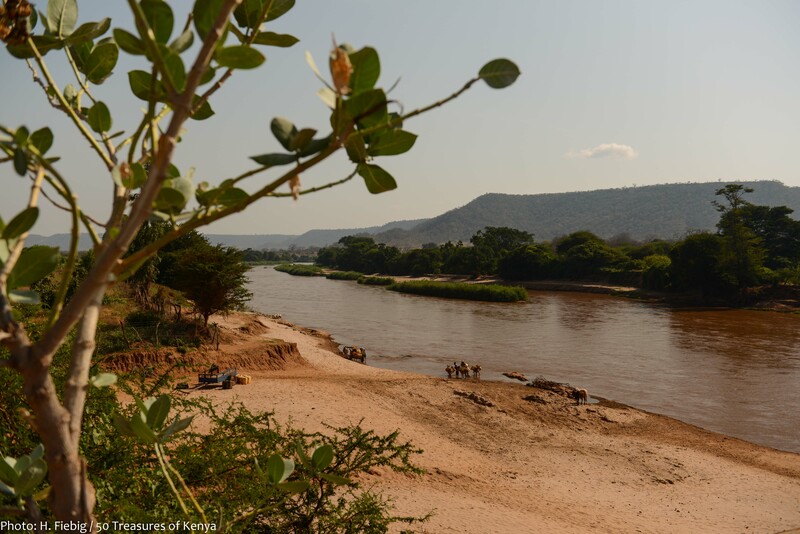 Fourteen Falls Lodge is located some 10 kilometres along the Thika – Garissa Highway and is an alcohol-free zone situated on a 30-acre piece of land. The lodge borders both the main road and Chania River at the bottom. It is a secure environment with 24-hour security surveillance. Accommodation is in traditional African spacious huts, fitted with all the modern amenities. The Lodge restaurant has an a la carte menu which have a variety of choices both in African and continental dishes. There are several halls in which conferences and seminars of various sizes can be held. On request these activities can be held in tents in any suitable corner of the lodge. Also the loge provides grounds weddings and sessions. Activities involve boat rides and fishing expeditions, picnics and camping. It is located in Eastern Province, Machakos District and 2 km from the park’s main gate. Accommodation comprises of 4 bedrooms; master bedroom with King-size bed and one single bed, 2nd bedroom with two double beds, 3rd bedroom with three single beds, 4th bedroom with two single beds. There is an annex that has one double bed with a kitchen equipped a with gas cooker (with oven), refrigerator, utensils, cutlery, crockery and glasses. The guesthouse has a conference room, which can hold 12 persons, at one given time and a caretaker is available, electricity, blankets, pillows, bed linen, towels, soap, and mosquito nets. Activities offer campsite and picnic site also Hiking and game viewing. Nice research work about Ukambani. proudly to be machakos,the place to be. let’s celebrate our countys beauty. machakos the place to be. Really this article… well researched especially historically. Would have loved more info on where to stay in Makueni tho as there are a no of both exclusive and standard hotels in the area. However good work. THANKS ALOT, I DID NOT KNOW THAT UKAMBANI IS THAT WEALTHY, ITS MY PRAYER THAT GOD WILL OPEN OUR EYES TO BEHOLD ALL THIS TREASSURES, LETS SAY A BIG THANK YOU TO GOD. Very interesting in deed….looking foward to pay a visit to the highlighted areas.